Can Foods Help Prevent Cataracts? Healthy eyes are the result of a healthy diet. Eye care begins with your sources of vitamins. Although the risk of cataracts is not very high until we are older, it is important to establish healthy dietary habits as soon as possible. Cataracts are theorized to form from protein buildup. (1) While the theory is compelling, science has yet to validate the claim. (2) Another theory suggests oxidative stress and free radical damage as the cause of cataracts. (3) Heavy metals and pollutants are yet another postulated theory. These theories may have bearing in reality, but science has not validated a known cause of cataracts. The best scientific explanation for the cause of Cataracts is free radical damage to the eye tissue. (4) Whether or not Free Radical damage is the source of protein buildup remains unverified, but this claim is the most widely accepted. The truth about Cataracts is that their cause is unclear, but specific nutrients could help prevent or slow down cataract formation. These specific foods have been highlighted to raise awareness of the best foods for cataract prevention. Antioxidants are Free Radicals worst nightmare. If free radicals cause cataracts, then antioxidants would be the solution. The reason- Antioxidants reduce Free Radicals. Summary- Vitamin C is the staple of a healthy diet promoting optimal eye care and reducing risk of cataracts. Beta Carotene is a fat-soluble vitamin and antioxidant that could prevent protein buildup in the lens of the eye. 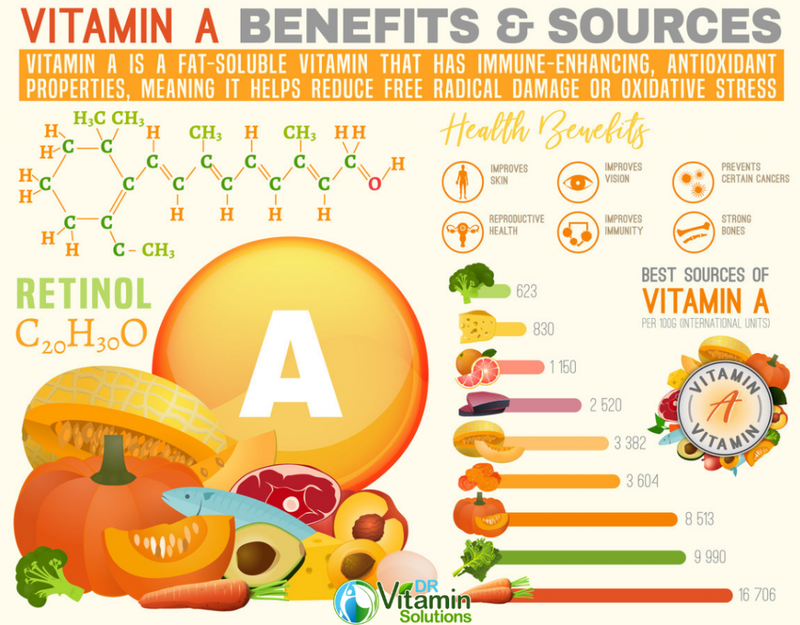 (6) The body needs Beta Carotene to synthesize Vitamin A which new research shows could slow macular degeneration over a long period of supplementation. (7) Sweet Potatoes are Vitamin A superstars with 214 mg per cup! And don’t forget the popular choice of Carrots weighing in at 140 mg per cup. When you are supplementing with Beta Carotene through a food or capsule source, recent studies recommend to always pair a fat with a vitamin. (8) The reason is because the vitamin needs to bind to a fat for the Beta Carotene to be absorbed into the blood stream. The same can be said of any vitamin in food, capsule or liquid form. I recommend avocado, almonds, peanuts or olive oil as healthy fats to act as a natural binder. You can use a supplement binder such as the Quicksilver Ultra Binder to bind your vitamins if these fats are not right for you. Scientific studies recommend adult men and women consume 30 mg of Beta Carotene per day. Summary- Vitamin A could prevent buildup of protein in the lens of the eye. New scientific research suggests that Niacin, also known as niacin or vitamin B3, is a nutrient that could help maintain eye health and reduce blood sugar. (9) Niacin deficiency has been shown in a study to be linked with cataract development and vision loss in older patients. (10) This study proves valuable as science suggests older people as the demographic at higher risk of cataract formation. (11) Adding foods high in Vitamin B3 could help reduce free radical damage and lower blood sugar. Summary- Niacin could aid in reducing blood sugar and prevent vision loss. Recommended daily dosage for men and women is 6 mg per day. Summary- Lutein and Zeaxanthin are found in leafy greens and could lower risk of cataract formation. As we age, the risk of cataracts increases. There exists no food especially tailored to prevent the risk of cataracts. The natural and safe precaution is to develop a personal healthy diet of leafy greens and nutrient dense sources of vitamins that naturally reduce macular degeneration. Your healthy diet is the best eye care program. These sources of vitamins serve as suggestions for you to consider when building your eye care healthy diet. Eye drops such as Vision Clarity Eye Drops could be incorporated to treat cataracts. 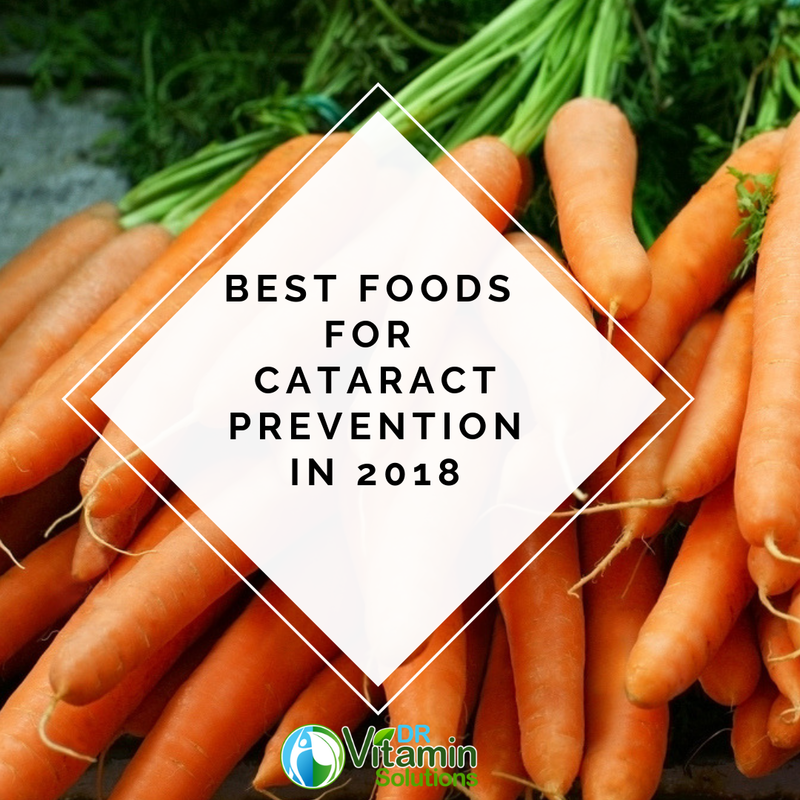 Thank you for taking the time to read Best Foods for Cataract Prevention in 2018. P.S.- At the end of the day, we are health-nerds here at DR Vitamin Solutions. We recommend you discover our Vision Clarity Eye Drops as high quality eye drops to compliment your eye care health diet!